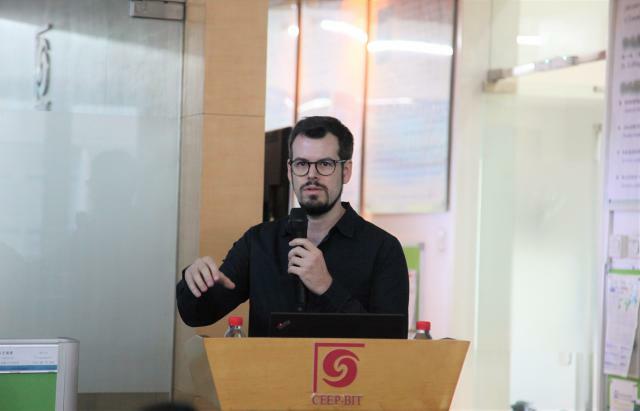 At 15:00 on October 30, 2018, Dr. Matthias Weitzel and Kimon Keramidas, from Joint Research Centre, were invited to visit CEEP and did an academic report entitled “How climate policies improve air quality：Global Energy and Climate Outlook 2017”. 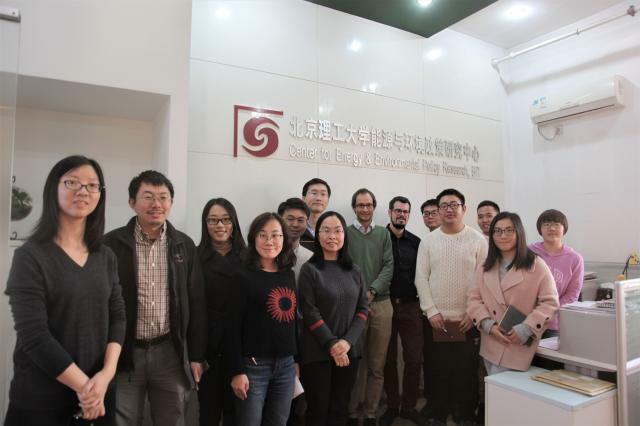 This report was hosted by Prof. Qiao-mei Liang, many teachers and students attended the report. 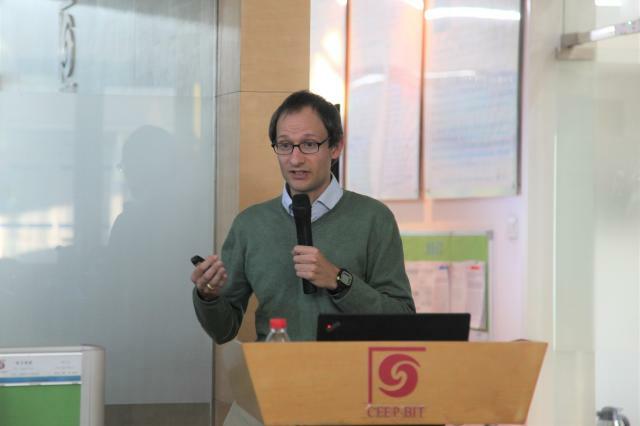 Matthias Weitzel is an environmental economist in the Directorate for Energy, Transport and Climate of the Joint Research Centre, and is based in Seville, Spain. Matthias has an extensive background in computable general equilibrium (CGE) modelling. At the Joint Research Centre, he works with the JRC-GEM-E3 model. He has a doctoral degree in economics, his thesis dealing with design questions of international climate policy. After completing his studies, he worked as a project scientist at the National Center for Atmospheric Research in Boulder, Colorado, USA. There he performed research mostly on the economic impacts of climate change. After joining the European Commission's Joint Research Center, his work focus has shifted back to climate policy analysis. In today's report, Dr. Matthias Weitzel and Kimon Keramidas shared Global Energy and Climate Outlook 2017 with teachers and students.The Global Energy and Climate Outlook shows that achieving the climate change mitigation target of staying below 2°C temperature rise is possible technically–thanks to an acceleration of decarbonisation trends, an increased electrification of final demand and large changes in the primary energy mix that include a phase out of coal and a reduction of oil and gas–and is consistent with economic growth. It yields co-benefits via improved air quality–including avoided premature deaths, reduction of respiratory diseases and agricultural productivity improvement–that largely offset the cost of climate change mitigation. These co-benefits arise without extra investment costs and are additional to benefits of avoiding global warming and its impact on the economy. By 2030, global air quality co-benefits more than compensate the cost of climate change mitigation policies. This finding is particularly strong for highly polluted fast-growing low income countries relying on coal, and less so for regions with a strong economic dependence on fossil fuel exports (higher mitigation costs) or for countries whose mitigation policy relies heavily on land use measures (lower co-benefits). To quantify co-benefits, a modeling framework including an energy and emissions model, a dispersion and impact model, and a general equilibrium model is employed. After the report, Dr. Matthias Weitzel and Kimon Keramidas took the picture with teachers and students at CEEP together.